There has never been a better time to find home-based business ideas for moms. In fact, there are so many work at home businesses that it’s often difficult to decide which one is the right fit for you. 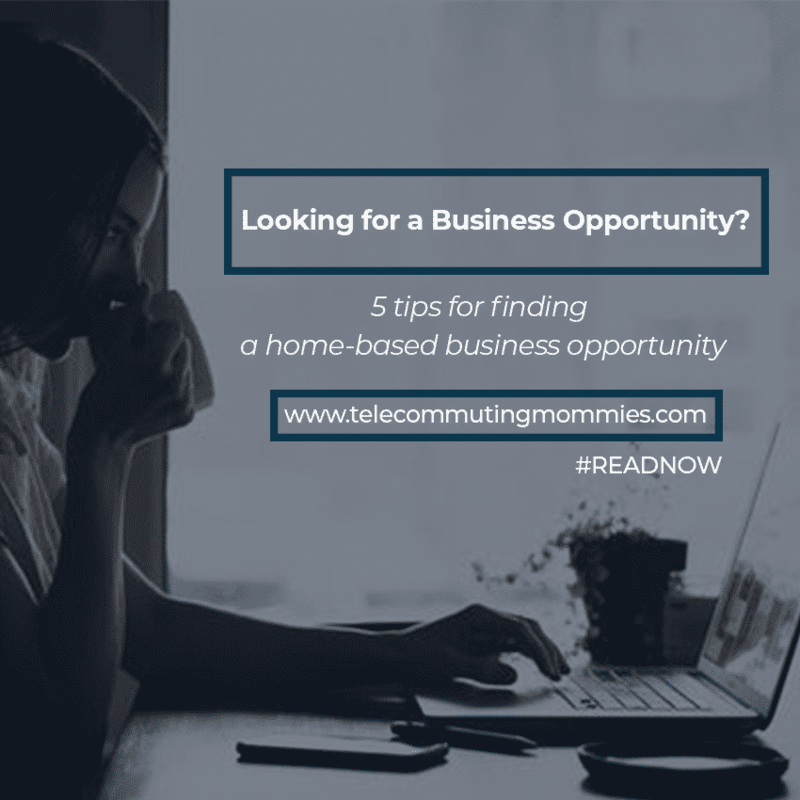 Here are five tips for finding a home-based business opportunity that will meet your needs and that will help you succeed. It’s rare to find a person who can sell a product or service he doesn’t believe in. Even for those who can, it’s hard to imagine that they enjoy what they do and look forward to their work each day. For most of us, a critical element of the right business opportunity is finding a product or service we believe in. For example, you may be concerned about the environment and about global warming. If so, a business opportunity that involves a product that helps people save gas, allows cars to get higher MPG, and reduces emissions would be right up your alley. In sum, you’ll be much more successful if you have a passion for the product you’re involved with. Think about what you are passionate about and then do your research to find products related to that passion. A large part of finding the right business opportunity is understanding market forces. What drives people to spend money? What are the issues that people care about? Do those issues relate to the product or service you’re considering? Using the above example, the environment and global warming are issues that have reached critical mass, in part because of greater awareness and in part because of near-record fuel prices. Therefore, a product that helps fuel efficiency and reduces emissions would be welcomed by virtually everyone. If you find a business opportunity that you feel instinctively is coming to the right place at the right time, chances are you’ve found a winner. The best home-based business opportunities are well established, yet still have room to grow. A solid business opportunity will have distributors in well over 100 countries, but isn’t so saturated with distributors that the hunger in the marketplace has been sated. The company you join should still be in its expansion phase, giving you the opportunity to earn a significant weekly income. There is definitely a sweet spot for getting involved with a company where they are firmly established but still in the expansion phase. When selecting a business opportunity, find one that already has a solid marketing plan. The company’s marketing may include Internet marketing; an infomercial, replicated websites, or any number of other strategies, but the bottom line is that the company should put as much or more effort into marketing as the distributors. If, for example, you’ve seen a company’s infomercial on television networks and cable, you know that it’s committed to marketing. 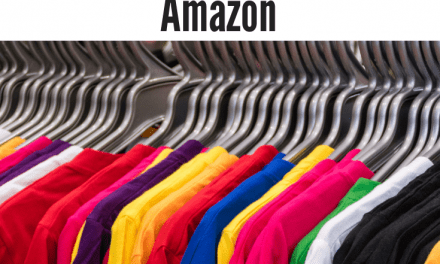 You also want to make sure that the company is really all about selling their product and not just getting others to sign up to sell their product. With home based business ideas for moms you know you have found the right company when people want to sign up to sell the products because they love the products and are already using them. Once you get involved with the company, their number one goal should be helping you to make sales and not pressuring you to get others signed up under you. It’s crucial that you know the compensation plan before you sign on to any business opportunity. Better yet, you should be able to access the actual results achieved by the company’s distributors. This ensures that you have an accurate estimate of your earning potential. Don’t buy into a dream being sold. Just because one person in the company was able to make a certain amount of money doesn’t mean everyone will. Look at the numbers for how distributors are doing on average and also find out what is involved if you decide you want out of the business. Whichever home-based business opportunity you choose, make sure it’s one that is timely, that dovetails with your interests, and that is on an upward swing. After that, it’s up to you to make the most of it and to fulfill your financial dreams.